Dr. Stephen Wolfram is the Founder and CEO of Wolfram Research. In addition, he is the creator of the Wolfram Language, the computational platform Mathematica, and the computational knowledge engine Wolfram Alpha, as well as the author of the bestselling book A New Kind of Science. Stephen attended Oxford University and he received his PhD in Theoretical Physics from the California Institute of Technology. Afterward, he joined the faculty at Caltech and became the youngest recipient of the MacArthur Fellowship. Later, he founded the Center for Complex Systems Research and joined the faculty at the University of Illinois. Shortly afterwards, he founded his current company Wolfram Research and has made substantial advances in mathematics, physics, and computation. Stephen is here with us today to tell us all about his experiences along the way in life and science. Stephen is fortunate to be working on things he likes to do, and he enjoys spending his time figuring stuff out, inventing things, making projects happen, and transforming ideas into tangible things. Outside of work, Stephen also stays busy with family life with his four kids. Stephen is working on the Wolfram Language, a project he has been working on over 30 years. Basically this project aims to automate the process of computation and allow people to easily get answers to complex computational questions. Stephen is motivated by “impossible” problems. He likes working on things that people think cannot be done and building things that people never expected to be built. When he was young, Stephen taught himself to read using picture books about technology. Growing up in the 1960s, he was exposed to the excitement of the space program and became interested in space craft design. Stephen determined that to get into this area as a career, he would need to learn physics, so he started reading physics books. He quickly realized that he didn’t want to solve the exercises in textbooks that already had solutions. Stephen wanted to be the first one to solve a problem that had not yet been solved. With this goal, he started his career in science and technology. In the first company Stephen started, he made many mistakes. He thought it would be wise to hire business professionals to run his company since he didn’t have a business background. However, this led to a lot of frustrations since what Stephen thought was best and most logical for the company was often at odds with the recommendations of the people he had hired. Over the years, Stephen has found that sometimes it is actually easier to tackle a big, general problem rather than solving a small, specific problem. About 25 years ago when they were working on Mathematica, Stephen spoke with world experts in many areas. He remembers one expert saying that he was crazy to plan on being able to compute about 300 mathematical functions to varying levels of precision with his program. Stephen proceeded with the project anyway, and they succeeded in getting those 300 functions incorporated using an automated search strategy that could query all the different functions rather than programming each function separately. He believes that the key to good science and good business is strategy. Stephen skipped travel opportunities for many years until his children convinced him make family trips out of some of these invitations. He really enjoyed a conference that brought them to an island off the coast of Australia near the Great Barrier Reef. The wildlife was amazing, and overall the trip was a wonderful experience. Within his company, Stephen has made it a tradition to “think in public”. There are many problems to be solved every day, and he likes to hold meetings where teams of people discuss and think through these problems to create solutions. With this approach, everyone is in the room, and they get an opportunity to learn about other fields as well as can catch potential issues quickly and work through them together. Stephen is a distinguished scientist, technologist and entrepreneur. He has devoted his career to the development and application of computational thinking. His Mathematica software system launched in 1988 has been central to technical research and education for more than a generation. His work on basic science, summarized in his bestselling book, A New Kind of Science, has defined a major new intellectual direction, with applications across the sciences, technology and the arts. In 2009 Wolfram built on his earlier work to launch Wolfram|Alpha to make as much of the world’s knowledge as possible computable and accessible on the web and in intelligent assistants like Apple’s Siri. In 2014, as a culmination of more than 30 years of work, Wolfram began to roll out the Wolfram Language, which dramatically raises the level of automation and built-in knowledge available in a programming language, and makes possible a new generation of readily deployed computational applications. 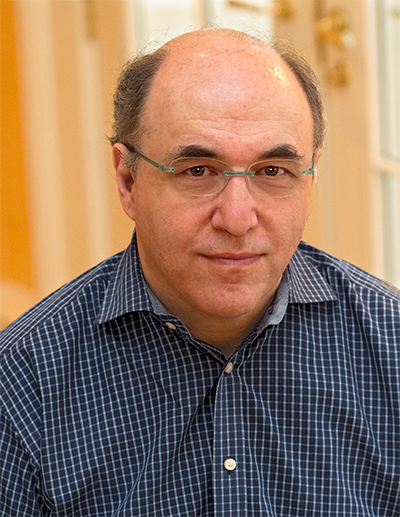 Stephen Wolfram has been the CEO of Wolfram Research since its founding in 1987. He was educated at Eton, Oxford and Caltech, receiving his PhD in theoretical physics at the age of 20.